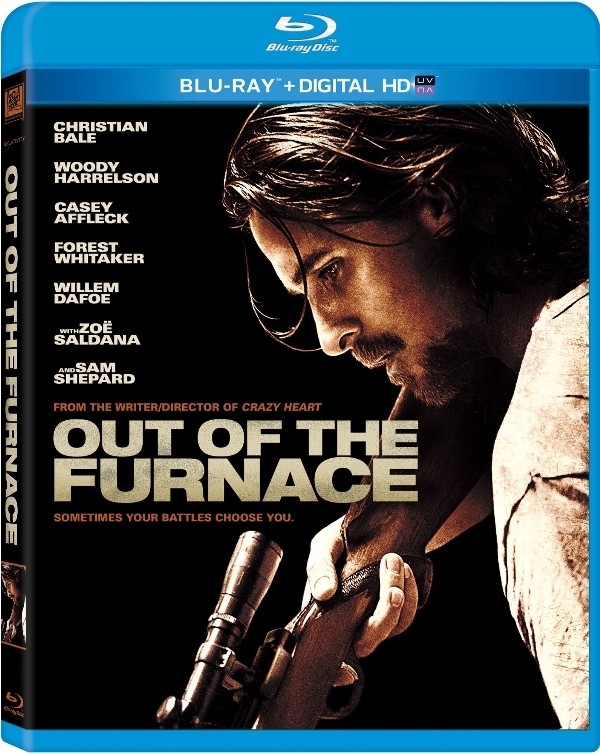 Out Of The Furnace Blu-Ray Review - Are You Screening? Out of the Furnace didn’t get a fair shake in theaters, even if I’m not rating all that high, and Bale’s performance is worthy of a good deal of attention that it was unfortunately never going to get because of American Hustle. A more thorough review of the film itself is available at Answers.com, but I’ll give you the main overview here. 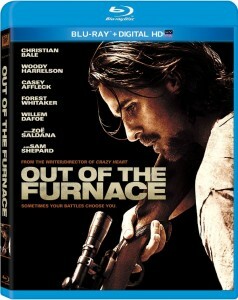 You can also check out our Podcast review of Out of the Furnace here. 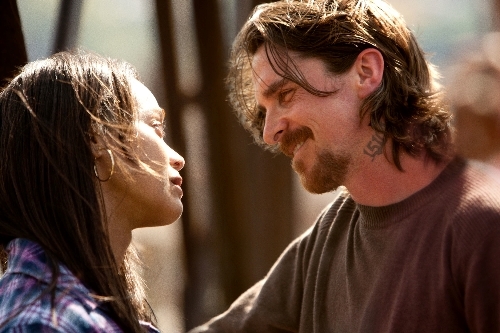 Out of the Furnace is one of those rare films that tempts spoilers with misleading marketing. Going by the trailer and official synopsis, the film would seem to be a more dramatic look at something quite in line with Next of Kin, but the plotline that follows Russell Baze’s quest for justice when his younger brother goes missing is actually the film’s third act. The story, as the title implies, is actually that of Russell’s Job-like existence, and his search for his brother, which takes him into the dangerous territory of hillbilly outlaws, is only the release from the crucible. Russell’s stoic determination, and at times Zen-like acceptance of his lot during the film’s opening, set the stage for metaphor, and/or a sub-text of philosophic discussion, as he repeatedly has his legs cut out from under him. The trouble with the film is that it isn’t clear if, in the end, Russell is meant to make some statement on ethical theory, or if he has simply come out the far end of the Solzhenitsyn quote and been made free again. With far more focus on dialog than the action-centric trailer would imply, this is a slow-burn effort at character deconstruction that ultimately only wants to deliver its final moment. It hopes for a certain entertainment value, but this is a puzzle, with each piece laid just so, and if fiddling with the pieces isn’t that fun, it isn’t considered a problem as long as we get the right picture in the end. Unfortunately, the film itself becomes just the opposite sort of puzzle. Cooper again proves that he’s a talented director, putting together scenes that convey heart and charm despite their inherently difficult natures. 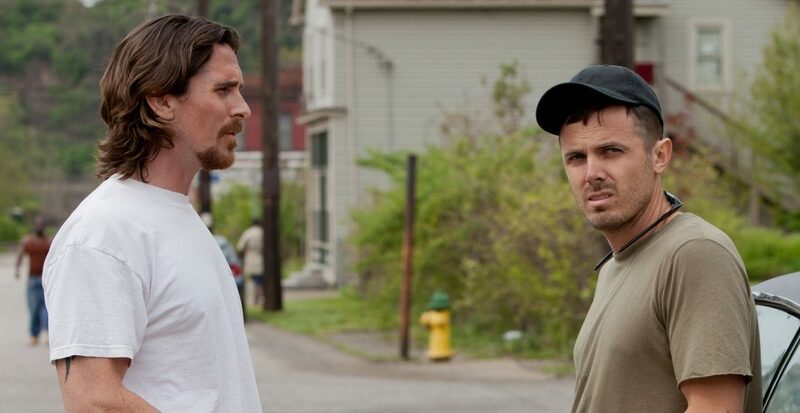 Christian Bale proves yet again that he is one of his generation’s best actors, and gives a performance worthy of awards, even if it is not the right role to manage that kind of attention. The supporting cast are all on top of their game, the dialog is well-written, and, with the exception of the opening, nearly every scene delivers. Taken apart, viewed in pieces, it’s a surprisingly deft construction, but the whole doesn’t deliver the right sensibilities to create any power for its end, or its overall story. To quote from M.A.S.H., it can play the notes, but it cannot make the music. The Blu-Ray doesn’t offer up a ton of bonuses, but that probably isn’t a surprise considering that it didn’t blow away the box office. What you end up with are a few featuettes, none of them very long, that cover the usual behind-the-scenes materials. The director himself, the fight scenes, the music, and the inspiration for the film and some of its scenes. The worst part of the lack of materials is that none of these really dig into the film and/or its themes, and considering the film’s apparent interest in how clever it is, you’d expect at least a commentary that gave a bit of insight into the theories we were trying to work with this one. You also get a trailer, and a lot of promotional bites for other films. The film does at least look great, and with a fair amount of shadowy interiors, it’s a film that could have suffered from a lesser effort. Overall, despite the general negativity here, this is one that deserves a look, and has much to appreciate about it.